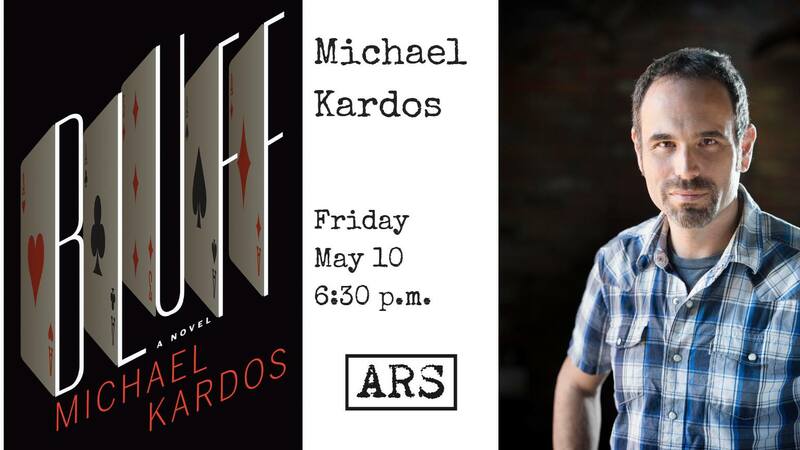 MICHAEL KARDOS is the author of the novels Bluff, Before He Finds Her, and The Three-Day Affair, an Esquire best book of 2012, as well as the story collection One Last Good Time, which won the Mississippi Institute of Arts & Letters Award for fiction, and the craft book The Art and Craft of Fiction: A Writer’s Guide. His short stories have appeared in The Southern Review, Crazyhorse, Harvard Review, and many other magazines and anthologies, and have won a Pushcart Prize. Michael grew up on the Jersey Shore, received a degree in music from Princeton University, and played the drums professionally for a number of years. He currently co-directs the creative writing program at Mississippi State University. The Argenta Reading Series seeks to connect writers directly with their audience, to appreciate the written word, and understand better the person behind those words. Readings are monthly, in the Argenta United Methodist Church meeting space, and admission is free at all readings unless otherwise noted, though the series is supported by your donations and through a partnership with the William F. Laman Public Library of North Little Rock.